Explore Spain, Portugal & Morocco by Land & Small Ship! $3490 + $890 Air! Top Regions of Spain, Portugal & Morocco- Lisbon, Algarve, Tangier, Gibraltar, Granada & Barcelona! *** SPAIN, PORTUGAL & MOROCCO TRIP UPDATE: Flight Confirmations are being emailed out Today (March 28th), along with itinerary. More info on Spain, Portugal & Morocco (weather, currency info, what to pack, adapter info & More) will be emailed out over the weekend. ---------------------------------------------------- JOIN FUN HAPPENINGS TRAVEL GROUP FOR AN AMAZING TOUR OF THE IBERIAN COAST, AS WE EXPLORE SPAIN, PORTUGAL & MOROCCO FROM APRIL 19TH - 30TH 2019 BY LAND & SEA! We will begin our unique customized Land & Sea Tour in Lisbon Portugal, where we will spend 3 full days exploring this legendary and charming city with over 20 centuries of history. We will then board our Luxury 429' Small Ship in Lisbon, where we will visit 5 Amazing & Unique Ports of Call. At the end of our small ship cruise, we will fly from Malaga to Barcelona, where we'll spend 3 glorious days in one of the most beautiful cities in Europe! SUMMARY OF OUR 11 DAY ITINERARY INCLUDES: - DAY 1 - 3: Lisbon Portugal- Visit Lisbon for 3 days by Land - DAY 4: Portimao & The Portuguese Algarve Coast (By Ship) - DAY 5: Tangier Morocco (By Ship) - DAY 5-6: Gibraltar Peninsula- a British Territory (By Ship) - DAY 7: Motril & Granada Spain (By Ship) - DAY 8: Malaga Spain (By Ship) - DAY 8-11: Barcelona Spain- Visit for 3 Nights / 4 Days by Land There are no words to describe the beauty of the Mediterranean's Iberian Coast of Spain, Portugal & Morocco! The Dynamic culture, compelling history, to-die-for Mediterranean cuisine – the Iberian Peninsula really is a True Example of riches for every sense and interest. SOME OF THE HIGHLIGHTS OF OUR AMAZING ADVENTURE INCLUDE: - Explore the meandering alleyways of Lisbon on a culinary & culture tour - Immerse in the local Lisbon culture- with authentic Fado Music & Dinner - Soak up the Moorish history of Lisbon and visit the Famous Sintra Palace - Explore the rugged Algarve Coast and Amazing Sea Caves by Zodiac's - Visit the Famous Open Markets and Ride a Camel in Tangier Morocco - Explore the Astounding red-clay fortress of the Alhambra or (Choice) - Choose to Hike the Famous "Caminito del Rey" in Southern Spain - Witness Antonio Gaudí’s Astounding Architecture with your own Eyes! - Visit one of the Top 5 Markets in the World- El Boqueria in Barcelona - Be treated to a Lively Flamenco Performance in Barcelona! - Enjoy Two Full Free Days in Lisbon & Barcelona to explore on your own! OUR SPAIN, PORTUGAL & MOROCCO TOUR INCLUDES SO MUCH! - AIR FROM NEWARK TO LISBON/FROM BARCELONA [Included with $890 Air Add-on] - One Way Flight from Malaga to Barcelona [Included w/ $890 Air Add-on] - 5 Nights in 4 1/2 - 5 Star centrally located Hotels [Lisbon 2, Barcelona 3] - 5 Nights Accomodations on Luxury "Royal Clipper" Small Ship [Outside Cabins included] w/ included meals, port charges, all taxes. - 26 Meals including 10 Breakfasts, 5 Lunches, 7 Dinners & 4 airline meals - 8+ Cultural Immersing Excursions as outlined in Trip Itinerary - Private Transportation throughout Spain, Portugal, Morocco - Hand-selected local private guides, making for Amazing Experiences! - All taxes, port charges, hotel taxes and baggage porterage charges ITEMS NOT INCLUDED IN OUR SPAIN, PORTUGAL, MOROCCO TOUR.. - Intl/Domestic flights From Newark (Available w/ $890 Air Add-on) - Meals other than those mentioned in the itinerary. - Laundry, Optional Wi Fi, Drinks, Spa Treatments on board, souvenirs - Tips for local guides, Drivers, Ship Staff (suggested tips will be emailed) - Personal Travel Insurance (Highly Recommended!) ABOUT OUR SMALL SHIP The Royal Clipper offers a cruise experience like no other! This luxury small ship provides a sea-going adventure with all the character of traditional sailing combined with the comfort and luxury found on most modern cruise ships. You will enjoy the gourmet prepared meals, 3 swimming pools, 2 bars and massive sun deck to relax on when under sail! You can relax in the library or pamper yourself in the spa and health club. Or you may choose to climb the mast (safety harness provided required) and take in the Amazing panoramic views of the lands and seas around you from the crow’s nest bucket! The Royal Clipper has the proud distinction of being the largest and only five-masted full-rigged sailing ship built since her predecessor was launched at the beginning of the last century. With her complement of 42 sails, Royal Clipper is a splendid sight to behold. You might think she was an apparition from the grand age of sail, but Royal Clipper is as new as tomorrow, boasting state-of-the-art navigation systems and every comfort and luxury one could wish for. For connoisseurs of sail cruising, the 439 foot Royal Clipper offers the ultimate sea-going experience, balancing the grandeur, adventure and tradition of sailing with the superb service, amenities and accommodations of the finest modern yacht. Royal Clipper carries just 227 guests in luxurious style. A full 19,000 square feet of open deck and three swimming pools create a wonderfully spacious and expansive outdoor environment. UNITED AIRLINES FLIGHT ITINERARY: FRIDAY APRIL[masked] UNITED AIRLINES FLT #64 DEP NEWARK EWR 8:25PM | ARR LISBON LIS 8:20AM [NEXT DAY- APR 20] TUESDAY APRIL[masked] UNITED AIRLINES FLT# 121 DEP BARCELONA BCN 11:15AM \ ARR NEWARK EWR 1:50PM [SAME DAY] PRICING/PAYMENT TERMS FOR SPAIN, PORTUGAL & MOROCCO Our 11 Day Tour of Spain, Portugal & Morocco is priced at $3490 + $890 for Air (Includes Int'l & Domestic Flights). And, since this Trip is planned for April 2019- YOU HAVE THE OPTION TO PAY FOR THIS TRIP WITH 8 RECURRING MONTHLY PAYMENTS ON PAYPAL. We are flying Non-stop from NEWARK EWR on APRIL 19, 2019 at 8:25pm and return to NEWARK EWR at 2:45PM on Tuesday April 30th. BOTH FLIGHTS ARE NON-STOP IN BOTH DIRECTIONS- To Lisbon, From Barcelona. ****** THERE ARE 3 WAYS TO PAY FOR THIS TRIP: (Recurring payments not available this close to departure) 1.) Pay in Full by Check ($3490 + $890 Int'l / Domestic Air Add-on) = TOTAL $[masked] 2.) Pay in Full by PayPal Or Credit Card ($3490 Land/Sea + $890 Int'l /Domestic Air Add-on) = TOTAL $[masked] 3.) Land Only Package $3490 (by check) or $[masked] (PayPal or Credit Card) and Purchase your own Air and Meet us in Lisbon on April 20th, Return from Barcelona on April 30th. [You must arrive before or depart same or later with our flights, to take advantage of our airport transportation][ *** Note: The $890 Air Package includes both International flights to Lisbon, Return from Barcelona along with 1 Domestic Flight- Malaga to Barcelona] 1.) PAY IN FULL BY CHECK...$[masked] [Land Tour] + $890.00 for Air -per person / Based on Double Occupancy - If paid in Full by Check. MAKE CHECK PAYABLE FOR $[masked] TO FUN HAPPENINGS AND MAIL TO: Fun Happenings PO Box 322 Brentwood 37024 2.) PAYMENT IN FULL OF AIR & LAND PACKAGE BY PAYPAL OR CREDIT CARD - $[masked] FOR DOUBLE OCCUPANCY (Single room additional- see below).SPAIN, PORTUGAL & MOROCCO [includes 3% cc processing fees] SPAIN, PORTUGAL & MOROCCO AIR & LAND PACKAGE PAYPAL LINK ($[masked]): https://www.paypal.com/cgi-bin/webscr?cmd=_s-xclick&hosted_button_id=VVPMYJ9U6ZR8G 3.) Land Only Package $3490 (Mail Check to Address above) or $3595 (PayPal or Credit Card) and Purchase your own Air and Meet us in Lisbon on April 20th, Return from Barcelona on April 30th. [You must arrive before or depart same or later from our flights, to take advantage of our airport transportation] PayPal Link for Land Only Package $[masked]: https://www.paypal.com/cgi-bin/webscr?cmd=_s-xclick&hosted_button_id=M3NVAMEZ23Q6G *** PLEASE NOTE: IF YOU PURCHASE LAND ONLY PACKAGE- YOU WILL NEED TO BUY OUR ONE-WAY FLIGHT FROM MALAGA TO BARCELONA- AS THIS FLIGHT IS INCLUDED WITH THE $890 AIR PACKAGE: Please see PayPal Link below for Malaga / Barcelona Domestic Flight: **** SINGLE ROOM SUPPLEMENT$895.00: Single Room Supplement for entire 10 Night / 11 Day Tour, including Luxury 5-star small ship. PAYPAL LINK FOR SINGLE ROOM SUPPLEMENT [$895.00]: https://www.paypal.com/cgi-bin/webscr?cmd=_s-xclick&hosted_button_id=ZU7JN5CZTARQ2 ****** TO JOIN THIS AMAZING TRIP - THERE ARE 4 EASY STEPS! 1.) Make either 1st Payment on PayPal or Full Payment by check [Partial payments can only be made by PayPal]. (This is the only way to secure your space) 2.) Take a photo or scan of your Passport Info Page & email to [masked] 3.) RSVP "Yes" on this Trip Page [Note: You must be logged into Meetup to RSVP and see full details on trip page] 4.) Email Fun Happenings Travel Group at [masked] and provide us with your best email for trip updates and if you're traveling with anyone, requesting a single room or want assistance in finding a roommate. Thank you for your interest in Fun Happenings Travel & Adventure Group! We hope you can join us in Spain, Portugal & Morocco in April 2019! Your Travel Planner, Michael Fun Happenings Travel & Adventure (http://www.funhappeningstravel.com/) FUN HAPPENINGS TRAVEL FACEBOOK GROUP PAGE: (https://www.facebook.com/groups/funhappeningstravel) FUN HAPPENINGS INSTAGRAM PAGE (http://www.instagram.com/travelwithfunhappenings) DETAILED ITINERARY FOR SPAIN, PORTUGAL & MOROCCO TOUR - DAY 1- FRIDAY APRIL 19TH:DEPART FOR LISBON FROM U.S! Depart for Lisbon Portugal from Newark NJ on United Non-stop Flight #64 at 8:25pm from Newark EWR to Lisbon LIS, arriving 8:20am on Sat. April 20th. (If you purchased our Additional $890 Group Air) - DAY 2- SATURDAY APRIL 20TH:ARRIVE TO LISBON / LISBON CITY CULTURAL & CULINARY TOUR Arrival to Lisbon.We are met by our local guide and then transfered by private coach to our Lisbon Hotel.Since Check-in is later in afternoon, our group will enjoy a guided tour of Lisbon, including the opportunity to explore the city center, the old quarter of Alfama, as well as the Belem quarter and its monuments including Jeronimos Monastery, the Belem Tower, and the Monument to the Discoveries. The Jeronimos Monastery, built in the 16th century, is an extraordinary magnanimous monument, also classified as a World Heritage Site by UNESCO and one of the most prominent examples of the Portuguese Late Gothic Manueline architecture. Our tour will end with a stop at the delicious and Famous "Pasteis de Belem" bakery, open since 1837. Here we learn how it is made followed by a tasting. The rest of the afternoon is free to explore Lisbon and Lunch on your own and check-in to our 5-star Lisbon Hotel. Tonight, is a special evening as we will host our “Welcome to Portugal Dinner” with authentic Portuguese Food, Fado Music and Good Portuguese wine!It’s going to be a great way to kick off our Amazing Tour of Spain, Portugal and Morocco! (Dinner with wine Included) Overnight in Lisbon (2 Nights):The Highly Rated 5-star Eurostars Das Letras Hotel Website: https://www.eurostarshotels.co.uk/eurostars-das-letras.html TripAdvisor Reviews: https://www.tripadvisor.com/Hotel_Review-d1080688?m=55593 - DAY 3- SUNDAY APRIL 21ST: EXCURSION TO SINTRA PALACE | FREE AFTERNOON / EVENING Breakfast at Hotel.Today, we will visit and tour the Famous Sintra Palace, which is blessed with natural beauty and the best preserved medieval Royal Palace in Portugal. Afterwards, we will visit the westernmost point of Portugal- the Roca Cape, an edge between land and ocean drawing a breath taking landscape. We return to Lisbon Mid Afternoon. En-route we will enjoy the scenery along the coast, passing through the towns of Cascais and Estoril. Overnight in Lisbon: 5-star Eurostars Das Letras Hotel - DAY 4- MONDAY APRIL 22ND:FREE DAY TO EXPLORE LISBON / EMBARK ON SMALL SHIP! Breakfast at Hotel. Check out of our Lisbon Hotel Today- the Hotel will store our luggage until our 5:00pm Departure to board our small ship.Today is Free time to Explore Lisbon on your own.Make sure to meet back at hotel at 5pm promptly for Private Transfer to Lisbon Port to embark on our beautiful 5-star luxury Tall Ship! (Breakfast, Dinner included) Overnight on Small Ship (5 Nights):The 439’ Royal Clipper - DAY 5- TUESDAY APRIL 23RD:EXPLORE THE ALGARVI COAST OF SPAIN AND ITS NATURAL BEAUTY! Breakfast onboard our small ship.Today, we are visiting one of the most beautiful areas in the World- the Algarve coast of Portugal!Our group will take a combination of boat and jeeps- to properly explore this rugged coastline and sea caves.We will travel through the interior of the small, traditional village of Ferragudo, through narrow streets until the magical view of the Ferragudo church.We board our boat and enjoy a 2 hour ride this beautiful coastline and the Famous Grotto of Benagil, known as the most beautiful natural cave in the world!After sampling some Portuguese wines at a seaside Algarve enoteca, we had back to our small ship. - DAY 6- WEDNESDAY APRIL 24TH:VISITING TANGIER MOROCCO- EXPLORING THE CITY’S TREASURES, FMAOUS OPEN MARKETS & EVEN RIDING A CAMEL! Our visit to Tangier begins with a Panoramic tour of Tangier, visiting "Cape Spartel" where the Atlantic meets the Mediterranean Sea and a visit to inside of "The Caves of Hercules".We will visit the Famous Moroccoan Kasbah and its Palace, and the medina or old town with the "Grand Socco", the "Petit Socco", the "Mendoubia Gardens", the "Jewish Quarter", and the Berber market and souks.... We will end with a “Must Do” in Morocco… A Camel Ride, before we head back to our small ship. Tonight we spend the night in Gibraltar, which is part of the territory of the United Kingdom…. Who’s up for a Pub Tour of Gibraltar? - DAY 7- THURSDAY APRIL 25TH:VISITING GIBRALTAR, TERRITORY OF THE UNITED KINGDOM After breakfast on our ship, we will embark on a Panoramic Tour of Gibraltar visiting the most unique places here in their unique territory of the United Kingdom.We will take a complete round the rock drive along the fortress city walls, the coastal roads, tunnels, passing the Moorish Castle and visit the historical part of town… We will see Europa Point, Catalan Bay, St Michael's Cave, Apes Den, Great Siege Tunnel, the original WWII Airport Runway and see land frontier with Spain.Lunch is served on the ship. - DAY 8- FRI APRIL 26: Visiting Motril for 2 Outstanding Optional Tours Today (Choose One)! Because there are 2 extraordinary choices of Activities Today- we are making this day Optional to join one of these 2 Excursions! Travel to Granada to visit the Famed Alhambra Fortress, the City of Granada and enjoy an authentic Tapas Lunch - DAY 9- SAT APRIL 27: Arrive to Malaga / Disembark Ship for Flight to Barcelona / Arrive to Port of Malaga.Breakfast on Small Ship.Disembark from small ship to Malaga Airport for flight to Barcelona.Upon Arrival to Barcelona, we will enjoy a Barcelona Old Town and Gothic Quarter Walking Tour- as our 5-star Hotel is located right in the heart of Barcelona!The rest of the afternoon and evening is free for you to explore Barcelona and dinner on your own!May I recommend one of Barcelona’s Famous Tapas bars. Overnight in Barcelona (3 Nights):The Highly Rated 4 ½ star Vincci Gala Hotel Website: https://www.vinccigala.com/ TripAdvisor Reviews: https://www.tripadvisor.com/Hotel_Review-d5416370?m=55593 - DAY 10- SUN APRIL 28: TOUR OF BARCELONA After breakfast at our Hotel, we are visiting the top cultural and architectural sites in Barcelona including Gaudi’s Park Guell, Casa Batlló, Casa Milà and one of the most famous cathedral’s in the World- the Sagrada Familia, designed by Antonio Gaudi.We will have free time during the day to have lunch at Barcelona’s Famous La Boqueria Market, where many food booths and cafés are located.The evening is free to have dinner on your own. - DAY 11- MON APRIL 29: FREE DAY IN BARCELONA TO EXPLORE ON YOUR OWN / FAREWELL DINNER Barcelona Breakfast at Hotel. Free day in Barcelona on your own.Farewell Dinner this evening with traditional Spanish Dinner & Flamenco Show! - DAY 12- TUE APRIL 30: DEPART BARCELONA FOR US REFUND POLICY: Refunds are not allowed without 140 days notice, due to small ship terms. Trip #2: No refunds are available due to non-refundable terms of yacht charter. Explore Spain, Portugal & Morocco by Land & Private Yacht: $3990 + $900 Air! FUN HAPPENINGS' TRAVEL & ADVENTURE GROUP PRESENTS AN AMAZING 11-DAY CASTLE, CLIFFS & PUB TOUR OF IRELAND... Visiting Ireland's most fun cities, experiencing breathtaking scenery, old world castles, Fun authentic Irish pubs and staying in luxurious 4 and 5-star accommodations! You will experience Ireland with a Fun group of 34-38 persons; including singles and couples who love to travel as much as you do! That's what Fun Happenings Travel Group is all about; Meeting new people and sharing life-changing travel experiences as a group! Get ready for one of the most fun trips you've ever been on! Explore your Irish heritage or the Most Amazingly Beautiful country in the World! Our customized Irish Vacation includes our own dedicated Tour Guide and Private coach, as we explore the charming areas of Galway, Clare County, Killarney and Dublin during our 10 Days in Ireland! This trip is going to be "OFF THE CHARTS" and because Monday, is Labor Day- you will only miss 6 business days to be gone for 10 days! Our 11 Day Irish Tour is perfect for first-time visitors to Ireland, as we're visiting the most popular areas of this beautiful country and staying in centrally located 4 and 5-star accommodations, located right in the heart of Galway, Killarney and Dublin! A lot of time and consideration went into carefully selecting the hotels for this trip, along with each day's activities... This Irish vacation is not a cookie-cutter tour that you can purchase from any Tour company- our tour was customized from scratch for Fun Happenings Travel & Adventure Group by our local Irish Tour company! Every Detail on our Ireland Tour has been taken care of... All you have to do is show up and enjoy an incredible memorable trip of a Lifetime! OUR AMAZING IRELAND TOUR INCLUDES SO MUCH: - Round Trip Air from Newark EWR to Dublin, Ireland (w/ Air/Land Pkg.) - 9 Nights Deluxe 4 & 5 Star City Center Hotel Accommodations: 1.) 3 nights in Galway at the 5-star The g Hotel Galway City Center [https://www.theghotel.ie/] 2.) 3 nights in Killarney at the 4-star Killarney Towers Hotel [https://www.killarneytowers.com/] 3.) 3 nights in Dublin City Center at the 4-star Maldron Dublin City Center Hotel on Kevin Street [https://www.maldronhotelkevinstreet.com/] - All Daily Sightseeing & Excursions with dedicated Professional Irish guide, private luxury motor coach and local guides. 1-2 optional activities may be offered on free days in Killarney and Dublin. INCLUDED EXCURSIONS & ADMISSIONS: - Walking tour of Galway city center - Full Day visit to Connemara and of Kylemore Castle, Abbey & Gardens - Full Day excursion to Aran Islands and Boat cruise of Cliffs of Moher - Visit Blarney Castle and have the opportunity to "Kiss the Blarney Stone!" - Dingle Peninsula, Ring of Kerry & Jaunting Cart Ride in Killarney - Walking Tour of Dublin Historical City Center- visiting the key sights, including St. Patrick's Cathedral & Trinity College's "Book of Kells"! - 2 Pub Crawls in Galway and Dublin. - 12 Meals Total (9 Full Breakfasts, 3 Dinners) - Including unique Pub & Musical Entertainment Dinners: 1.) TRAD ON THE PROM CELTIC SHOW! (http://www.tradontheprom.com/)- Ireland's Number #1 music, song and dance experience 2.) MERRY PLOUGHBOY'S IRISH CABARET SHOW & DINNER (http://www.mpbpub.com/) in Dublin - All Private Coach Transportation in Ireland with Airport/Hotel Transfers- this is a private, fully escorted customized private tour with our own dedicated Irish Guide throughout tour! - Luggage Porterage with gratuity at Hotels. - All Hotel taxes, surcharges and Gratuities for Hotels & Meals As you can see- this Ireland Tour includes almost EVERYTHING, except a handful of meals, that are part of your free time to explore these charming Irish towns and pubs in the evening! *** Space is limited to only 38 persons for this trip- as no more spaces will be added, once we are full! This Tour of Ireland is going to be an Experience of a Lifetime and I hope you can join us in Ireland this May 23rd - June 2nd 2019 for an Amazing Trip! Our Ireland Trip is one of Fun Happenings' most popular tours! Please contact me directly at [masked], if you have any questions regarding our Ireland Trip... Your Travel Planner, Michael Fun Happenings Travel & Adventure Group (http://www.funhappeningstravel.com) Fun Happenings Travel Group on Facebook (http://www.facebook.com/groups/funappeningstravel) Fun Happenings Travel Group Instagram Page (http://www.instagram.com/travelwithfunhappenings) *** PRICING / PAYMENT TERMS / FLIGHT ITINERARY FOR IRELAND TRIP*** AIR / LAND PACKAGE PRICE FROM NASHVILLE TN: • $[masked] per person / Double Occupancy Room- If paid in Full by check. (Make check payable to Fun Happenings for $3390 and mail to Fun Happenings, PO Box 322, Brentwood 37024) • PAYMENT IN FULL BY CREDIT CARD - $[masked] / DOUBLE OCCUPANCY (Single room is additional cost- see below). PAYPAL LINK FOR FULL PAYMENT OF MAY 2019 IRELAND TRIP ($3490): https://www.paypal.com/cgi-bin/webscr?cmd=_s-xclick&hosted_button_id=AGFE5QGU49PZU • If Paid in 5 Automatic PAYPAL Installment Payments over 5 months - TOTAL $[masked]: 1.) $698.00 Due Now 2.) $698.00 charged automatically 4 weeks later 3.) $698.00 charged automatically 4 weeks later 4.) $698.00 charged automatically 4 weeks later 5.) $698.00 FINAL PAYMENT charged automatically 4 weeks later ** Note- All payments must be paid by April 23, 2019. If you begin payments late- you may be required to make 2 payments at end to catch up and pay in full before April 23, 2019. **** PAYPAL LINK FOR 5 RECURRING PAYMENTS OF $698.00 ($3490): https://www.paypal.com/cgi-bin/webscr?cmd=_s-xclick&hosted_button_id=KA2ZD2LRSH6PJ SINGLE ROOM SUPPLEMENT $950.00: Single Room Supplement for entire trip PAYPAL LINK FOR SINGLE ROOM ($950.00: https://www.paypal.com/cgi-bin/webscr?cmd=_s-xclick&hosted_button_id=7BJBYX7K4SBME LAND ONLY PACKAGE (Meet Us in Dublin on May[masked] by 11:00am) $[masked] BY CHECK OR $2770 BY CREDIT CARD (PAYPAL) - LAND ONLY PACKAGE- If meeting us in Dublin or if you prefer to use Airline Points / Miles to meet us in Dublin. PAYPAL LINK FOR LAND ONLY PACKAGE FULL PAYMENT ($2770): https://www.paypal.com/cgi-bin/webscr?cmd=_s-xclick&hosted_button_id=9FCKGFCY2VW52 **** Check payments in full should be payable to Fun Happenings and mailed to: Fun Happenings PO Box 322 Brentwood TN 37024 *** The Deadline to join this trip is Friday, Dec. 28th or Until Trip is Sold Out *** This Trip is open to 38 persons maximum, as this is the maximum capacity of our air seats and reserved hotel rooms. Reserve your space today with an initial deposit or full payment as this trip will sell out! . FLIGHT ITINERARY FROM NEWARK EWR TO DUBLIN DUB (VIA UNITED AIRLINES - NON-STOP FLIGHTS): CARRIER FLT# | DATE | CITY / DEP TIME | CITY/ ARRIVAL TIME UNITED FLT #23 MAY 23 DEP NEWARK 7:35PM | ARR DUBLIN 7:05AM UNITED FLT #22 JUN 02 DEP DUBLIN 9:20AM | ARR NEWARK 11:35AM ***DAY-BY- DAY ITINERARY FOR IRELAND CLIFFS, CASTLES & PUB TOUR*** ● Day 1 - Thursday, May 23, 2019: Depart Newark EWR: Our group departs Newark International Airport on UA FLT #23 at 7:35pm for our overnight transatlantic flight bound for Dublin, via United Airlines (or purchase "Land Only Package" and meet us in Dublin on May 24th before 7:05am) ☆ (Included Today: Round Trip Flight from Newark to Dublin (with Air / Land Package), Dinner and Breakfast served on Transatlantic Flight) ● Day 2 - Friday, May 24, 2019: Arrive Dublin / Travel to Galway Upon arrival in Dublin, we clear customs and then meet our Irish Guide Gordon and private coach driver. Our scenic drive through Ireland begins today, as we drive 2 hours west through the lush, green countryside to Galway, our destination for the next 3 nights. En route we pass lovely villages and verdant fields and stop in a charming village for lunch on our own. Upon arrival to our centrally located 5-star Hotel, The g Hotel Galway City Center (https://www.theghotel.ie/), we will meet our loca Galway guide for a walking tour of Galway's City Center and the Galway Cathedral (http://www.galwaycathedral.ie/). ☆ (Included Today: Walking tour of Galway City & Galway Cathedral, relaxing afternoon/evening to explore Galway or rest, Dinner on own this evening) ● Day 3 – Saturday, May 25, 2019: Full Day Excursion to Connemara National Park & Kylemore Abbey & Victorian Walled Gardens (http://www.kylemoreabbeytourism.ie/) Today, our group will explore the rural foothills of Connemara and Kylemore Castle, Abbey & Gardens , 1 hour outside of Galway City. Oscar Wilde described Connemara, as a ‘savage beauty’ and its patchwork of brooding lakes, rugged mountains, and windswept bogs certainly gives a sense of splendid isolation. Connemara in renowned for its rugged beauty and attracts visitors from all over the world to experience its unique charms. Kylemore Abbey is one of the most picturesque Castles in Ireland, which is home to a community of nuns of the Benedictine Order who came to Connemara in 1920 after their abbey in Ypres, Belgium was destroyed in World War I. Kylemore Abbey & Victorian Walled Gardens (http://www.kylemoreabbeytourism.ie/) is the Top, Must-see Attraction in Connemara! Lunch is on your own today at a local restaurant / pub in the Connemara area. Dinner tonight is on your own, where you may explore the many restaurants, shops and pubs located near our centrally located hotel. Be sure to meet back at the hotel, after dinner at 8:30pm, as our local Guide takes us on a "Local Pub Crawl of Galway Pubs" so we can immerse ourselves in the local culture and mingle with the local residents! ☆ (Included Today: Breakfast, Day Tour to Connemara, Admission & Guided tour of Kylemore Abbey & Gardens, Galway Pub Crawl departs hotel at 8:30pm) ● Day 4 – Sunday, May 26, 2019: Free Day in Galway / Evening Dinner & "TRAD ON THE PROM" CELTIC DANCE SHOW Today is a Free Day to explore Galway on your own! There are many activities you may choose to participate in- Hiking Trails outside of Galway, kayaking on Galway Bay, Shopping and exploring Galway or take a guided tour of going to be a magnificent day as we visit the quaint Aran Island of Inisheer and see the Cliffs of Moher like never before! Tonight dinner is included before we attend "Trad on the Prom" Irish Cabaret & Dinner, which celebrates the passion of Ireland's past with a contemporary production, of world class music, song and dance. Our performers tonight, have captivated audiences in such extraordinary productions as 'Riverdance', 'The Chieftains' and 'Lord of the Dance' are now together on ONE STAGE for an unforgettable entertainment experience! ☆ (Included Today: Breakfast, Dinner & "Trad on the Prom" Show included) ● Day 5 – Monday, May[masked]: Depart Galway / Aran Islands & Cliffs of Moher Tour with a 1 hour cruise along the Cliffs of Moher / Arrive Killarney After breakfast, our group departs Galway and heads south along Ireland's WILD ATLANTIC WAY, as we visit the quaint Aran Island of Inisheer and see the Cliffs of Moher up close like never before! In the morning, we'll head to the picturesque fishing village of Doolin where we'll board the Doolin ferry to Inisheer (Inis Oirr), the smallest and most vibrant of the Aran Islands. On Inisheer, we will explore the island's ancient churches and castles, beautiful beaches, by pony cart and guide. For our return journey to the mainland, we will take a guided cruise alongside the foot of the spectacular Cliffs of Moher, which puts the 700 foot high cliffs into perspective. We'll have some free time to stop for a bite of lunch (on your own), before heading south towards Killarney, our next destination for the next 3 nights. We will be staying in the heart of Killarney at the highly ranked 4-star Killarney Towers Hotel [https://www.killarneytowers.com]. You will enjoy the vibrant town, as it is filled with many shops, restaurants & pubs. ☆ (Included Today: Breakfast, Morning Tour to Aran Islands, 1-hour cruise touring the Cliffs of Moher, lunch and dinner today on your own) ● Day 6– Tuesday, May 28th 2019: Killarney: Jaunting Buggy Tour of Killarney National Park, Ross Castle & Lakes of Killarney / Free Afternoon to explore Killarney National Park Get ready for one of the most fun days of our trip! We are going to experience a Jaunting Horse Buggy Tour Today, exploring the Killarney National Park, Lakes of Killarney, Ross Castle and the famed Killarney House. The Jaunting Buggy Tour is the perfect way to see the hidden delights of this region! You will step back in time and experience Ireland’s most traditional mode of transport with a jaunting buggy tour. As you ramble along our tour, your guide will inform you of the history, legends and folklore of the area – with some Irish humor thrown in for good measure! This afternoon has been scheduled as free time, as Killarney National Park offers some magnificent hiking, fishing and boating, or you may wish to spend the afternoon exploring and shopping in the quaint village of Killarney. Dinner is on your own tonight, but be sure to meet in the hotel lobby at 8:30 pm for a fun, festive night as our Irish guide takes us on a "Local Pub Crawl of Killarney", [first pint is included] as Killarney boasts having the best pubs in all of Ireland! ☆ (Included Today: Breakfast, Morning jaunting Buggy Tour of Killarney National Park, Ross Castle & Lakes of Killarney, lunch and dinner is on your own, Pub Crawl Tonight with First Pint included) ● Day 7 – Wednesday, May 29, 2019: FAMOUS DINGLE PENINSULA DRIVE ALONG THE WILD ATLANTIC WAY Today, we will visit one of the most scenic areas in all of Ireland, the Dingle Peninsula! We will visit the Blasket Visitors Center in Dun Chaoin, on the tip of the Dingle Peninsula. This interpretative museum, shows first hand, how this unique community once lived on the Great Blasket Island. County Kerry's stunningly beautiful Dingle Peninsula, stretches for 30 miles into the Atlantic Ocean from Ireland's south-west coast. The peninsula is dominated by the range of mountains that form its spine, running from the Slieve Mish range to Mount Brandon, Ireland's second highest peak. The coastline consists of steep sea-cliffs, broken by sandy beaches, with two large sand spits at Inch in the south and the Maharees to the north. Tonight is going to be a special night, as we celebrate our time in Killarney with a visit to the popular JARVEY'S / MOLLY DARCY'S TRADITIONAL IRISH PUB (http://www.jarveys.ie/index.html) for a fun, festive night of Irish music, dancing and sing-along songs! Our night at Jarvey's is included with our trip package and offers an authentic Irish meal and the best traditional Irish entertainment fer miles and miles! ☆ (Included Today: Breakfast, Day Tour of Dingle Peninsula and admission to Blasket Visitors Center, Pub Dinner & Entertainment at Jarvey's Irish Pub) ● DAY 8 – THURSDAY, MAY 30TH 2019: Depart Killarney / Visit Blarney Castle & Cork County / Arrive Dublin for 3 Nights We depart and enjoy another lovely scenic drive, this time eastward across Southern Ireland. Our first stop is in Cork area, where we visit Blarney Castle. Of course, we all will want to kiss the "Blarney Stone" and acquire the "gift of eloquence." Here we will also visit the renowned Blarney Woolen Mills and offer free time for lunch. After lunch we head north towards Dublin, where we will check in to our beautiful centrally located Dublin Hotel, the 4-star Maldron City Center Hotel on Kevin Street, located in the center of vibrant Dublin! [https://www.maldronhotelkevinstreet.com/]. The evening is free to explore Dublin and have dinner on your own. ☆ (Included Today: Breakfast, Morning tour of Blarney Castle & Gardens and panoramic tour of County Cork, lunch and dinner is on your own) ● DAY 9 – FRIDAY, MAY 31ST 2019: Walking Tour of Dublin's Historical Center- visiting St. Patrick's Cathedral and Trinity College's "Book of Kells". . This morning our group will join in a walking tour of Dublin's historical center and visit several famous landmarks, like the St. Patrick's Cathedral and Trinity College's "Book of Kells". The famed "Book of Kells," the illuminated version of the Gospels, designed by unknown monks long ago. In the Old Library are housed over three million volumes of valuable books and priceless manuscripts: we can learn about ancient book-making as we marvel at the surroundings. The rest of the day and evening is free to explore the beautiful city of Dublin and its many shops, cafes and pubs. ☆ (Included Today: Breakfast, Walking Tour of Historical Dublin City Center with visits to St. Patrick's Cathedral and Trinity College's "Book of Kells, Lunch and Dinner on your own) ● DAY 10 – SATURDAY, JUNE 1ST 2019: FREE DAY IN DUBLIN TO EXPLORE ON YOUR OWN / FAREWELL DINNER AT MERRY PLOUGHBOY'S PUB! Today is a FREE DAY to explore the Beautiful city of Dublin- as there is so much to do here- it's your choice on where you may decide to Visit! May the Guinness Storehouse & Brewery, Jameson Distillery, Kilmainham Gaol Museum, The National Botanic Gardens, take a stroll in St. Stephen's Green Park, Check out a Futbol Match at Croke Park Stadium or shop on Dublin's Famous Grafton Street. Tonight is going to be a highlight of our Trip! We are celebrating our final evening on the Emerald Isle with a fun authentic Irish dinner, step-dancing, traditional music, singing and entertainment at Merry Ploughboy Irish Cabaret Show (http://www.mpbpub.com/ or VIDEO: https://www.youtube.com/watch?v=WkKtjsVtSYk&feature=youtu.be) After dinner, some may want to venture our for a pint or two in the Temple Bar area of Dublin, known for its many bars, pubs and nightspots. But don't stay out too late, as we have to wake early for our 9:20am flight! ☆ (Included Today: Breakfast, Farewell Dinner with live musical entertainment) ● DAY 10 – SUNDAY, JUNE 2ND 2019: RETURN TO THE USA Regretfully, it's time to say "Slán agat" (Good Bye) and transfer to the Dublin Airport by our private coach, where our international flight is waiting to return us to the USA. REFUND POLICY: No Refunds are offered with less than 90 days advance notice before our departure date. If you can find a replacement to take your place, a name change fee is applicable for $200. Amazing Tour of Lake Region, Florence & Tuscany with an Andrea Bocelli Concert! FUN HAPPENINGS TRAVEL PRESENTS A TRIP OF A LIFETIME TO NORTHERN ITALY TOUR WITH ANDREA BOCELLI CONCERT IN TUSCANY - DEPART TUE. JULY 16TH – RETURN SAT. JULY 27TH 2019 - Tour is Limited to Only 30 Persons! | $3050 + $1125 Air from JFK! Join Fun Happenings Travel Group for an Amazing “Once in a Lifetime” opportunity to experience the food, wine, history, and art of Northern Italy, including the Northern Lake Region, Milan, Florence, Pisa, Venice (optional excursion for day), Cinque Terre and the Tuscany and Chianti wine regions! But wait, There’s More… We are attending the 14th Annual Teatro del Silenzio Andrea Bocelli Concert in an outdoor amphitheater in The Tuscan countryside! This trip is limited to only 38 spots and is expected to sell out quickly, so if you are considering joining… I would make a decision quickly! Get ready for a Tour of Italy like never before! This tour is not your average cookie-cutter tour purchased from an American Tour company, as this tour is customized exclusively for Fun Happenings Travel Group and includes unique and memorable life-changing experiences! I have worked closely with an Italian Tour company over the last 5 years and they are including some incredible activities on this tour… and Most Everything is Included, except 2-3 optional excursions, that are planned during our free time. Our group will visit and explore so much over 11 days and won't have to travel far each day, as we are concentrating this tour on 3 regions in Northern Italy. Our group will be immersing ourselves fully in the Italian Culture and Experience a side of Italy- like never before as we: 1. Immerse yourself in the local culture of each of the 3 Northern Italy regions we visit. 2. Visit the Swiss Alpine Town of Locarno for the day, as we cross the Swiss Alps by train. 3. Tour and taste wines from two prominent wineries in the Chianti and Tuscany wine regions and meet the winemakers. 4. Explore one of the most charming & quaint villages of Tuscany Italy- San Gimignano, and Siena Italy! 5. Visit the Famed Italian Riviera and Cinque Terre by train and boat and experience some of the most scenic seaside villages in all of Europe! 6. Explore Florence and its famous Renaissance masterpieces as we spend 4 nights here. 7. Attend the Famed Andrea Bocelli concert in an amphitheater in the Tuscan countryside. 8. Have the option to explore Venice for the day by High Speed Bullet train from Florence. 9. Experience the Real Italy with outstanding local guides in each region we visit! 10. Visit Milan and one of the largest cathedrals in the world during our visit of this beautiful city. TRIP DATES: Depart Tue. July 16th – Return Sat. July 27th 2019 for 10 nights / 11 days. LAND PACKAGE PRICE: $[masked] ROUND TRIP AIRFARE FROM NEW YORK JFK: $1,125.00 (Non-stop Flights to Milan & Return from Rome- Everyone is responsible for getting to JFK on their own as trip begins here) SINGLE SUPPLEMENT FOR SINGLE ROOM: $890.00 (limited to 5 Single Rooms) WHAT’S INCLUDED IN THIS AMAZING TRIP OF A LIFETIME: • 4-star Superior First Class Hotels (Stresa/Lake Maggiore: 3 nights; Florence: 4 nights; Siena / Tuscany area: 3 nights- Total 10 Nights / 11 Days) • 15 Meals Included (10 full American breakfasts, 1 lunch, 4 dinners, and 2 wine tastings) • Daily Guided Excursions included as per our itinerary (excluding 2-3 optional activities offered during free time) • Private Local Tour Guide for our Group throughout entire trip • Deluxe Private Coach for Airport Transfers, all Tours and Andrea Bocelli concert • Ticket to the Sold Out Andrea Bocelli concert on July 25th at Teatro del Silenzio, an open air amphitheater, located in Bocelli‘s hometown- Lajatico, Tuscany. • Enjoy a Special Post-Concert Dinner at unique venue, near Lajatico. • “Whisper Technology” Headsets on all guided tours • Baggage porterage for airport and hotel transfers • All VAT and local service taxes, city taxes This amazing itinerary will allow us to explore a variety of locations throughout Northern Italy with minimal travel time, as we will use Florence and Siena as bases from which to explore the Tuscany and Chianti wine regions. During our time in Stresa, we will explore the Borromean Islands, and even venture across the border to Switzerland for the Day! DETAILED ITINERARY: NORTHERN ITALY TOUR WITH ANDREA BOCELLI CONCERT Tuesday, July 16: Depart New York JFK Airport [Trip begins at New York JFK] Day 1 – Tuesday July[masked] DEPART NYC JFK FLIGHT #198 AT 4:40PM ARRIVE MILAN MXP AT 6:35AM (Arrive Wed. July 17th) Day 2 – Wednesday, July 17 Welcome to Italy! We will arrive at Milan-Malpensa Airport at 6:35 AM via American Airlines. We will be greeted there by our tour director, Alex, who will lead our group on a guided tour of Milan including a visit to the famous Milan Cathedral. After our Milan Tour, you will be free for lunch and exploring or shopping on your own In the late afternoon, we will transfer by private motor coach to our hotel in Stresa (3 nights), which overlooks the beautiful Lake Maggiore. This evening, we will enjoy a welcome dinner at a local restaurant (D Included). Day 3 – Thursday, July 18 After breakfast, we depart for morning cruise of The Borromean Islands. The islands take their name from the Borromean family, art lovers and botanists, who took ownership of the land in the 14th century. At Isola Bella, we visit the Palazzo Borromeo, the epitome of opulence and luxury. We will have free time for lunch then proceed by boat to exotic Isola Madre, noted for its English Botanical Garden, rich in rare plants. We return to Stresa, where the rest of the afternoon and dinner are at leisure. Overnight in Stresa. (B included) DAY 4 – Friday, July 19 Today we enjoy a full day outing, as we travel to the Canton of Ticino in Switzerland. The Canton of Ticino is a very interesting part of Switzerland—it's a wedge of warm country that is almost completely surrounded by Italy. Italian is spoken here and the culture is decidedly Italian, even though the Swiss have controlled the Ticino since the early 1500s. The area is stunningly beautiful and is a great place for a walking, biking, or driving tour. We depart in the morning by the Centovalli train and return in the late afternoon by boat. Dinner in Stresa tonight is on your own. Overnight in Stresa. (B included) **NOTE: YOUR PASSPORT IS REQUIRED TO ENTER SWITZERLAND FOR THE DAY! Day 5 – Saturday, July 20 We will have breakfast at the hotel prior to checkout. We transfer from Stresa to Florence by private coach. During our route our group will stop in Pisa to visit the famous Leaning Tower in the Piazza Dei Miracoli. After our stop in Pisa, we proceed to Lucca, a town known for the cobblestone streets and the well-preserved Renaissance walls that encircle the historic city center. In Lucca, we will have free time for lunch and shopping or exploring this quaint town. Late this afternoon, we arrive in Florence. Overnight Florence (B included) Day 6 –Sunday, July 21 We begin the day with breakfast at the hotel. This morning, our group will take an orientation tour of Florence's historical center led by our local guide. After the tour, enjoy an afternoon on your own to explore this beautiful city, known as the center of the Italian Renaissance. Today, lunch and dinner are on your own. 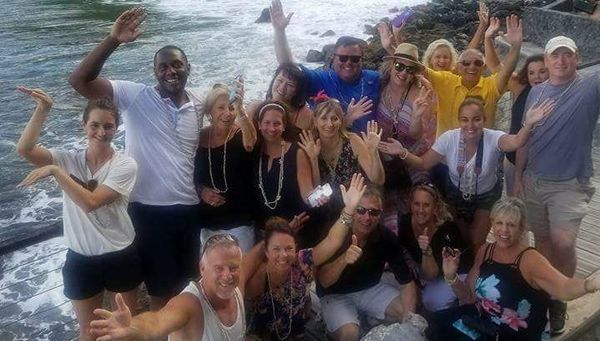 Overnight in Florence (B included) Day 7 – Monday, July 22 After our breakfast at hotel, our group will visit the Cinque Terre (Five Villages), five picturesque fishing villages on the coast known as the Italian Riviera. We will first travel to La Spezia, where we will board the ferry to Cinque Terre. As we travel up the coast, be prepared for the incredible, breathtaking views. You are on your own for lunch in beautiful Monterosso, the largest and oldest of the Cinque Terre villages. For an authentic takeaway snack, look for a friggitoria, where bite-sized seafood is piled into a paper cone. Also, try the Cinque Terre DOC wine and support the local vignerons. After lunch, we will take the ferry back to La Spezia, and return to Florence in the late afternoon. Dinner in Florence tonight is on your own. Overnight in Florence (B included) Day 8 – Tuesday, July 23 Enjoy a leisurely breakfast at the hotel. Today you will have a free day to explore Florence on your own, or you may opt to join Fun Happenings for an adventurous, full day trip to Venice (optional excursion; additional fees will apply) via high speed bullet train (90 minutes each way). Overnight in Florence (B included) Day 9 – Wednesday, July 24 After enjoying breakfast at the hotel, we depart for San Gimignano, city of beautiful towers. As we walk with our tour director through the narrow, medieval streets of San Gimignano, you will notice the magnificent 13th century stone walls that completely enclose this Tuscan hill town. As you encounter the 14 towers that remain today, imagine how the town might have appeared when 72 towers were standing. You will have time for lunch on your own after which we will proceed to our hotel located in the beautiful countryside just outside the town of Siena. Tonight, we will enjoy dinner with wine tasting at a local Tuscan winery. Overnight in Siena area. (B, wine tasting, D included) Day 10 – Thursday, July 25 After our breakfast at the hotel, we will enjoy a morning tour of Siena with our local guide. We will visit the Piazza del Campo, known for the Palio, an important horse race that takes place twice a year in Siena (July 2 and August 16). We will also visit the Duomo di Siena and the Baptistery of San Giovanni Battista, as well as the Torre del Mangia (Tower of the Eater). We will have free time in this gorgeous medieval city to enjoy lunch, shop, and explore the narrow streets and contrade. We will return to our hotel after lunch. This evening we depart for one of the Top Highlights of our trip... the Andrea Bocelli concert that takes place at Teatro del Silenzio, an amphitheater in Lajatico, Italy, the birthplace of Bocelli. The amphitheater was built by the local government at the request of Bocelli. He performs a concert here each summer. The amphitheater sits unused the remainder of the year; however, the stage area is flooded and becomes a “lake” in which sculptures are exhibited. The 14th Annual Andrea Bocelli Teatro Del Silenzio Concert, the exclusive event that takes place every year on the hills of Lajatico (Pisa), Maestro Bocelli’s hometown concert titled "Ali di libertà", scheduled for Thursday, July 25, 2019 at 8:30 pm is sold out. The artistic direction is once again by Luca Tommassini a visionary guru artist and former choreographer of X Factor, collaborator of Madonna and Michael Jackson concerts. This year the most beloved Tenor in the world will be joined, by his son Matteo Bocelli, rising star of international pop, from the extraordinary success obtained with the song "Fall on me", duet interpreted together with his father. The best of the best is in the program: a multi-sensory experience that will reinvent opera by offering the greatest composers, the most beloved songs and the most popular “classics”, presented within an innovative format that will symbolically take the audience by the hand, within spectacular moving sets that are, currently, unparalleled. It is a memorable journey, to be taken – as always – alongside Andrea Bocelli, through the places where he was born and where many of his dearest loved ones still reside. It’s an intimate concert and the best place to see Andrea Bocelli Live! After the concert, we will enjoy an authentic Italian dinner at a local restaurant. Overnight Siena. (B, Concert, D included) Concert Promo Video: https://youtu.be/cPntqFzaY2M Day 11 – Friday, July 26 After breakfast at our hotel, our group will enjoy an excursion to the Chianti Wine Region for a visit to the famous Verrazzano Winery. After a tour of the winery and vineyards, we will enjoy a tasting of their classic wines and a lunch featuring local products. We return back to our Siena area hotel for an afternoon of leisure. Tonight, our group will enjoy a farewell dinner in a local restaurant. Overnight in Siena. (B, L, wine tasting, D included) Day 12 – Saturday, July 27 We will receive a boxed breakfast from the hotel as we depart early morning to Fiumicino (FCO) Airport in Rome. (B included, lunch, dinner served on board) AMERICAN AIRLINES FLIGHT # 235 DEPART ROME FCO 9:40AM ARRIVE NEW YORK JFK 1:20PM (Same Day) Our Northern Italy Hotels: Stresa / Lake Maggiore: Grand Hotel Bristol (4 star Superior Hotel): July 17th – 20th; 3 nights Website: http://grandhotelbristol.com/en/ Florence: Hotel Ambasciatori (4 star Superior Centrally located Hotel): July 20th – 24th; 4 nights Historical Florence city center Website: https://www.hotelambasciatori.net Siena / Tuscany Area: Hotel Garden Siena (4 Star Tuscan Hotel): July 24th – 27th; 3 nights Countryside Hotel, just outside city center of Siena Website: https://www.gardenhotel.it/en/ HOTEL VIDEO: https://youtu.be/fDRusbiA1CQ PAYMENT TERMS AND CONDITIONS FOR NORTHERN ITALY TOUR WITH ANDREA BOCELLI CONCERT: Our 11 Day Tour of Northern Italy is priced at $3050 + $1125 for International Air from New York JFK Airport [Fly into Milan | Return from Rome FCO]. You have the option to Pay for this Trip in Full by Check or Credit Card or Choose 5 Recurring Payments over 5 months on PayPal. The Trip begins from NEW YORK JFK AIRPORT on Tuesday, July 16th 2019 departing at 4:40pm, so you should arrive to JFK 3-4 hours before departure. Each person is responsible for meeting the group at NYC JFK International Airport. NOTE: Southwest Airlines flies to nearby LaGuardia LGA Airport and is a 45-60 minute (depending on traffic) shuttle to JFK airport [Allow for Extra Time, if you fly into LGA] THERE ARE 4 WAYS TO PAY FOR THIS TRIP: 1.) Pay in Full by Check ($3050 + $1125 Int'l Air) = TOTAL $[masked].) Pay in Full by PayPal Or Credit Card ($3050 Land Pkg. + $1125 Int'l Air + $125.00 cc fees) = TOTAL $[masked].) Pay in 5 Installment Payments over 5 months (5 Payments of $860.00)- Totaling $[masked]. [Note: Recurring Payments must begin by Feb. 15th or until Trip sells out] 4.) Land Only Package $3050 (by check) or $[masked] (PayPal or Credit Card) and Purchase your own Air and Meet us in Milan or Stresa Italy on July 17th 2019 [Note: Transfers are not included unless you arrive before group flights] PAYMENT OPTION DETAILS 1.] PAY IN FULL BY CHECK...$[masked] ($3050 Land Pkg+ $1125 for Air -per person / Based on Double Occupancy - If paid in Full by Check (Single room is additional- See Single Supplement below) MAKE CHECKS PAYABLE TO FUN HAPPENINGS AND MAIL TO: Fun Happenings PO Box 322 Brentwood 37024 2.] PAY IN FULL OF AIR/LAND PACKAGE BY PAYPAL/CREDIT CARD: TOTAL $[masked] ($3050 Land Package + $1125 Int'l Air + $125.00 cc fees) NORTHERN ITALY TOUR PAYMENT IN FULL PAYPAL LINK ($[masked]): https://www.paypal.com/cgi-bin/webscr?cmd=_s-xclick&hosted_button_id=JPNV8WBSRYBJS 3.] PAY WITH 5 RECURRING PAYMENTS ON PAYPAL FOR NORTHERN ITALY LAND AND AIR PACKAGE- TOTALING $[masked] (5 Recurring Automatic Payments of $860.00) A.) $860.00 Due Now (1st Payment Due Before Feb.15th/ or until Trip Fills up) B.) $860.00 Due 4 weeks after previous payment (Auto PayPal Payment) C.) $860.00 Due 4 weeks after previous payment (Auto PayPal Payment) D.) $860.00 Due 4 weeks after previous payment (Auto PayPal Payment) E.) $860.00 Final Auto Payment- Must be paid by July 10th 2019- If you begin payments late- you may be required to make 2 payments at end to make final payment by July 10th 2019. ** PAYPAL LINK FOR 5 RECURRING AUTOMATIC PAYMENTS OF $860.00 (Totaling $[masked]): https://www.paypal.com/cgi-bin/webscr?cmd=_s-xclick&hosted_button_id=JMR5VWBSPEBEJ 4.] LAND ONLY PACKAGE FOR NORTHERN ITALY $3050 (Mail Check to Address above) or $[masked] (PayPal or Credit Card) and Purchase your own Air. PAYPAL LINK FOR LAND ONLY NORTHERN ITALY PACKAGE ($[masked]): https://www.paypal.com/cgi-bin/webscr?cmd=_s-xclick&hosted_button_id=3G6WXWEAJ44DE SINGLE ROOM SUPPLEMENT $890.00: Single Room Supplement for entire 10 Night Tour. PAYPAL LINK FOR SINGLE ROOM SUPPLEMENT [$890.00]: https://www.paypal.com/cgi-bin/webscr?cmd=_s-xclick&hosted_button_id=3M895WTBLVDW6 TO JOIN THIS AMAZING TRIP - PLEASE COMPLETE THESE 4 EASY STEPS! 1.) Make either 1st Payment on PayPal or Full Payment by check [Partial payments can only be made by PayPal] to Reserve your Space. **Payment is the only way to secure your space. [Note: This trip has more people interested in joining vs. the 38 available spots and trip is expected to fill up quickly. 2.) Take a photo or scan of your Passport Info Page & email to [masked]. Put your "Name and FH July 2019 Northern Italy Tour" in Subject line. 3.) RSVP "Yes" on this Trip Page on meetup site [Note: You must be logged into or "Register your name, email" on Meetup to RSVP and see full details on trip page] Also, +1, +2, If traveling with others. 4.) Email Fun Happenings Travel Group at [masked] and provide the best email for trip updates and if you're requesting a single room or want assistance in finding a roommate. IN CLOSING Thank you for your interest in Fun Happenings Travel Group! We hope you can join this Amazing Trip of a Lifetime, as we tour Northern Italy and experience Andrea Bocelli Live in Concert! Please contact me if you have any questions. Your Travel Planner, Michael Fun Happenings Travel Group [masked] Group Flight Itinerary AA FLT # 198 JUL[masked] DEPART NYC JFK 4:40PM ARRIVE MILAN MXP 6:35AM (JUL 17) AA FLT # 235 DEPART ROME FCO 9:40AM ARRIVE NYC JFK 1:20PM (same day) REFUND POLICY: No Refunds are offered with less than 120 days notice before departure date. If you can find a replacement, a name change fee of $200 is charged. AMAZING 17 DAY GRAND TOUR OF NORTHERN & SOUTHERN ITALY & ANDREA BOCELLI CONCERT! FUN HAPPENINGS TRAVEL PRESENTS A TRIP OF A LIFETIME- A 17-DAY GRAND TOUR OF NORTHERN & SOUTHERN ITALY WITH AN ANDREA BOCELLI CONCERT IN TUSCANY! - Depart Tuesday July 16th – Return Friday August 2nd 2019 [17 Days] *** NOTE- The above dates are Correct- Ending on Aug. 2nd [Meetup does not allow events greater than 2 weeks] - Tour is Limited to 16 Persons! - COST: $4800 [Land Pkg] + $1285 Air from Newark EWR Join Fun Happenings Travel Group for an Amazing “Once in a Lifetime” opportunity to experience the food, wine, history, and art of both Northern & Southern Italy, for 17 days / 16 nights, as we visit the Northern Lake Region, Switzerland, Florence, Cinque Terre, Tuscany, Rome and the Amalfi Coast! BUT WAIT… THERE'S MORE! We are also attending the Famed Teatro del Silenzio Andrea Bocelli Concert in an outdoor Tuscan amphitheater in Bocelli's hometown! This Grand Tour of Italy, is limited to only 16 spots and is expected to sell out quickly. *** This Tour is a combination of both Fun Happenings' Northern & Southern Tours. Get ready for a Tour of Italy like never before! This tour is not your average cookie-cutter tour purchased from an American Tour company, as our tour is customized exclusively for Fun Happenings Travel Group by an Italian tour company and includes unique and memorable life-changing experiences! Most Everything is Included in our fully Escorted Tour: 70% of meals, 95% of excursions except 2-3 optional excursions (planned during free time), private coach transportation and a dedicated local guide at our disposal during entire trip. Each hotel has been carefully hand selected, based on the location, quality of service and ambiance, providing an authentic "Italian Hospitality Experience!" Our group will fully immerse ourselves in the Italian Food, Culture & Art... and Experience a side of Italy, like never before, as we: 1. Visit Milan and its cathedral- one of the world’s largest! 2. Visit the Swiss Alpine Town of Locarno for the day, as we take a scenic train ride across the Swiss Alps! 3. Tour and taste wines from 3 prominent wineries in the Chianti, Tuscany and Campania wine regions and meet the winemakers. 4. Explore the most charming & quaint towns in Tuscany Italy- San Gimignano, Siena and Montepulciano Italy! 5. Visit the Famed Italian Riviera and Cinque Terre by boat and experience some of the most scenic seaside villages in all of Europe! 6. Explore Florence and its famous Renaissance masterpieces as we spend 4 nights here. 7. Attend an Andrea Bocelli concert in an outdoor amphitheater in the Tuscan countryside. 8. Have the option to explore Venice for the day by High Speed Bullet train from Florence. 10. Visit the Vatican on Sunday July 28th and join Pope Francis for his “Papal Blessing” at St. Peter’s Square. 11. Explore the most charming & quaint villages in Southern Italy- Positano & the town of Amalfi! 12. Visit the Isle of Capri and explore the Famous “Blue Grotto” and the quaint villages on the island. Our group will fly to Milan on Tuesday, July 16th... Once in Milan on July 17th, we will make our way by private coach to the Northern Lake region for 3 days, where we will stay in a Palatial Grand Hotel overlooking Lake Maggiore. We spend two full days touring the Borromean Islands and even cross the Swiss Border by train for the day and visit the Alpine village of Locarno. We then move to Florence for 4 nights in the city’s Historical Center, where we will take two day excursions from Florence to visit Italy’s famed Cinque Terre and an optional day in Venice. After Florence, we travel a short distance to the Tuscan countryside and spend 3 nights in a palatial 31 bedroom Tuscan Villa outside of Siena. We will immerse ourselves into the local culture, food & music of this region- as we visit two wineries, visit the quaint towns of San Gimignano and Siena and see Andrea Bocelli Live in concert at his hometown amphitheater in nearby Tuscan town of Ljatico. After Tuscany, we will make our way by private coach to Rome, where we will spend 2 Days exploring the beauty, history and Famous Landmarks of this beautiful city! We will see Pope Francis in person, give his "Papal Blessing" on Sunday morning at St. Peter's Square and you will have the opportunity to attend mass at St. Peter's Basilica this morning as well. After 2 Amazing Days in Rome, we will head to one of Italy's most beautiful regions, the Magnificent Amalfi Coast, where we will spend 4 nights in the charming city of Sorrento. We will use Sorrento as our home base while touring the Amalfi Coast for 5 days, while visiting the Isle of Capri, the Amalfi Coastline, Positano, Mt. Vesuvius and the Pompeii ruins. TRIP COST Land Only Price: $[masked] (If paid by check) Round Trip Airfare from Newark EWR: $[masked] (Both Non-stop Flights) Single Supplement: $[masked] WHAT’S INCLUDED IN OUR AMAZING NORTHERN & SOUTHERN ITALY TOUR WITH ANDREA BOCELLI CONCERT: • 4-star Superior Hotels for 16 Nights (Stresa: 3 Nights, Florence: 4 Nights, Siena/Tuscany: 3 nights; Rome: 2 nights; Sorrento/Amalfi Coast: 4 nights) • 27 Meals Included (16 Breakfasts, 5 lunches, 6 dinners, and 3 wine tastings) • Daily Guided Excursions as per our itinerary (2-3 optional activities offered during free time) • Private Local Tour Guide for our group throughout duration of trip • Deluxe Private Coach Transportation throughout 11 Day Tour • Ticket to the Sold Out Andrea Bocelli concert on July 25th at Teatro del Silenzio, an open air amphitheater, located in Bocelli‘s hometown- Lajatico, Tuscany. • Enjoy a Special Post-Concert Dinner at unique venue, near Lajatico. • “Whisper Technology” Headsets on guided tours throughout 11 Day Tour • Baggage porterage on airport and hotel transfers • All VAT and local service taxes, city taxes DETAILED NORTHERN & SOUTHERN ITALY ITINERARY WITH ANDREA BOCELLI CONCERT [Click on Link Below] https://docs.google.com/document/d/11O_nPKbHVmXB4N_2NRu_hBwePx5vrnD4MCpWzwFQuiQ/edit?usp=sharing OUR NORTHERN & SOUTHERN ITALY ITINERARY HOTELS: Stresa / Lake Maggiore: Grand Hotel Bristol (4 star Superior Hotel): July 17th – 20th; 3 nights Website: http://grandhotelbristol.com/en/ Florence: Hotel Ambasciatori (4 star Superior Centrally located Hotel): July 20th – 24th; 4 nights Historical Florence city center Website: https://www.hotelambasciatori.net Siena / Tuscany Hotel: Villa Scacciapensieri – 4 ½ Star Superior Hotel July 24 – 27; 3 nights Website: https://www.villascacciapensieri.it/en/ TripAdvisor Reviews: https://www.tripadvisor.com/Hotel_Review-d239518?m=19907 Rome: Hotel: Hotel Quirinale July 27 – 29; 2 nights Website: https://www.hotelquirinale.it/en/ TripAdvisor Reviews: https://www.tripadvisor.com/Hotel_Review-d205121?m=55593 Sorrento: Grand Hotel Vesuvio; 4 star Sea View Hotel Dates of Stay: July 29 – Aug. 2nd; 4 nights Website: http://www.grandhotelvesuvio.website/en/ PAYMENT TERMS AND CONDITIONS FOR SOUTHERN ITALY TOUR WITH ANDREA BOCELLI CONCERT: Our 17 Day / 16 Night Grand Tour of Northern & Southern Italy is priced at $4800 [$1550 Added to Southern Italy Tour] for the 17 Day Land Package + $1285 for International Air from Newark EWR Airport [Fly into Milan Non-Stop / Return from Naples Non-stop]. You have the option to Pay for the Trip in Full by Check or Credit Card or Choose 5 Recurring Automatic Monthly Payments on PayPal. The Trip begins from NEWARK EWR AIRPORT on Tuesday, July 16th 2019 departing at 6:35PM on Non-stop United Flight #19. [Please arrive to EWR 3-4 hours before International Departure] Each person is responsible for meeting the group at NEWARK EWR International Airport, as the trip begins here. THERE ARE 4 WAYS TO PAY FOR THIS TRIP: 1.) Pay in Full by Check ($4800 + $1285 Int'l Air) = TOTAL $[masked] 2.) Pay in Full by PayPal Or Credit Card ($4800 Land Pkg. + $1285 Int'l Air + $185.00 cc fees) = TOTAL $[masked] 3.) Pay in 5 Installment Payments over 5 months (5 Payments of $[masked])- Totaling $[masked]. [Note: Recurring Payments must begin by Feb. 15th or until Trip sells out] 4.) Land Only Package $4800 (by check) or $4944 (PayPal or Credit Card) and Purchase your own Air and Meet us in Milan MXP or Stresa on July 17th 2019 [Note: Transfers are not included unless you arrive before group flights] PAYMENT DETAILS 1.] PAY IN FULL BY CHECK...$[masked] ($4800 Land Package + $1285 for Int’l Air -per person / Based on DBL Occupancy - If paid in Full by Check (Single room is additional- See Single Supplement below) MAKE CHECKS PAYABLE TO FUN HAPPENINGS AND MAIL TO: Fun Happenings PO Box 322 Brentwood TN 37024 2.] PAY IN FULL OF AIR/LAND PACKAGE BY PAYPAL/CREDIT CARD: TOTAL $[masked] ($4800 Land Pkg + $1285 Int'l Air + $185.00 cc fees) NORTHERN & SOUTHERN ITALY TOUR PAYMENT IN FULL PAYPAL LINK ($[masked]): https://www.paypal.com/cgi-bin/webscr?cmd=_s-xclick&hosted_button_id=9CZ6RHHF42634 3.] PAY WITH 5 RECURRING PAYMENTS ON PAYPAL FOR NORTHERN & SOUTHERN ITALY LAND AND AIR PKG- TOTALING $[masked] (5 Recurring Payments of $1254) A.) $[masked] Due Now (1st Payment Due Before Feb 15 or until Trip is Full) B.) $[masked] Due 4 weeks after previous payment (Auto PayPal Payment) C.) $[masked] Due 4 weeks after previous payment (Auto PayPal Payment) D.) $[masked] Due 4 weeks after previous payment (Auto PayPal Payment) E.) $[masked] Final Auto Payment- Must be paid by July[masked]. You may be required to make 2 payments at end to meet payment deadline. ** PAYPAL LINK FOR 5 RECURRING AUTOMATIC PAYMENTS OF $[masked] (Totaling $[masked]): https://www.paypal.com/cgi-bin/webscr?cmd=_s-xclick&hosted_button_id=3D8H2VY2HH76C 4.] LAND ONLY PACKAGE FOR NORTHERN & SOUTHERN ITALY $4800 (If Check) or $[masked] (PayPal or Credit Card) and Purchase your own Air: PAYPAL LINK FOR LAND ONLY NORTHERN & SOUTHERN ITALY PACKAGE ($[masked]): https://www.paypal.com/cgi-bin/webscr?cmd=_s-xclick&hosted_button_id=QJA7YDDWDEHLJ SINGLE ROOM SUPPLEMENT $[masked] [For all 16 Nights] PAYPAL LINK FOR SINGLE ROOM SUPPLEMENT [$[masked]]: https://www.paypal.com/cgi-bin/webscr?cmd=_s-xclick&hosted_button_id=DMHXARQE9KP34 TO JOIN THIS AMAZING TRIP - PLEASE COMPLETE THESE 4 EASY STEPS! 1.) Make either 1st Payment on PayPal or Full Payment by check [Partial payments can only be made by PayPal] to Reserve your Space. **Payment is the only way to secure your space. [Note: This trip has more people interested in joining vs. the 38 available spots and trip is expected to fill up quickly. 2.) Take a photo or scan of your Passport Info Page & email to [masked]. Put your "Name and FH July 2019 Northern & Southern Italy Tour" in Subject line. 3.) RSVP "Yes" on this Trip Page on meetup site [Note: You must be logged into or "Register your name, email" on Meetup to RSVP and see full details on trip page] Also, +1, +2, If traveling with others. 4.) Email Fun Happenings Travel Group at [masked] and provide us with the best email for trip updates and if you're traveling / rooming with anyone, requesting a single room or want assistance in finding a roommate. IN CLOSING Thank you for your interest in Fun Happenings Travel Group! We hope you can join this Amazing Trip of a Lifetime, as we tour Northern & Southern Italy and experience Andrea Bocelli Live in Concert! Please contact me if you have any questions at [masked]. Your Travel Planner, Michael Fun Happenings Travel Group [masked] United Airlines Group Itinerary UA FLT #19 TUE JUL 16TH 2019 DEP Newark EWR @ 6:35 PM ARR Milan MXP @ 8:40 AM (ARR JUL 17) UA FLT #965 FRI AUG[masked] DEP Naples NAP AT 10:10 AM ARR Newark EWR AT 2:05 PM REFUND POLICY: No Refunds are offered with less than 120 days notice before departure. If you find a replacement, a name change fee of $200 is charged. Amazing Tour of Tuscany, Rome & the Amalfi Coast with an Andrea Bocelli Concert! The Top Regions of Italy- Tuscany, Rome & Amalfi Coast with an Andrea Bocelli Concert in Tuscany! The Top Regions of South Africa, Zimbabwe & Botswana- Cape Town,Kruger Park, Victoria Falls & Chobe! 4 COUNTRY DANUBE RIVER CRUISE & OKTOBERFEST IN MUNICH- 11 DAYS! $4699 WITH AIR! Top Areas on the Danube River- Hungary, Slovakia, Austria & Germany! Join Fun Happenings Travel Group for a relaxing and inspiring cruise on the legendary Blue Danube River this September 23 - Oct. 3rd 2019. We will visit iconic and picturesque ports of call, experience Oktoberfest in Munich and immerse ourselves in the local culture of 4 Amazing countries. We begin our 12 Day journey from Budapest and then embark on our Danube River Cruise aboard the modern Emerald Star Ship, visiting unique charming areas on the Danube River, including: - Budapest Hungary (2 Days) - Bratislava Slovakia - Vienna Austria - Dürnstein Austria - Melk Austria - Passau Germany - Regensburg Germany - Nuremburg Germany - Munich Germany (2 Days) Daily Activities and excursions are ALL INCLUDED each day, as we visit a different area everyday. This river cruise is not rushed, so you have plenty of time to explore each port on your own. Emerald Waterways offers a Great ACTIVE Program, with Excursion choices for those that prefer more activity, ie: hiking, bike ride tours and even offers bicycles on-board for exploring cities on your own. At the end of our cruise, we will experience Oktoberfest in Munich, with a 2 Night stay at a 4-star Hotel, within walking distance to Oktoberfest. Included is a Full Day Oktoberfest Experience at one of the Most Popular Beer Tents, with lunch and beer. WHAT'S INCLUDED WITH OUR 11 DAY OKTOBERFEST RIVER CRUISE: - RT Air from ANY CITY IN THE US to Budapest / Return Flight from Munich (FREE AIR PROMO ENDS FEBRUARY 15TH 2019!) - 7 nights on modern Emerald Waterways Ship Star, built in 2014 - 2 nights at Centrally located 4-star Maritim Hotel in Munich - 23 Meals (9 breakfasts, 7 lunches, and 7 dinners) - Deluxe Coach Transfers throughout Tour - Included Daily excursions with local English-speaking guides - All meals included on-board with a variety of international cuisine - Complimentary regional wines, beer & soft drinks with lunch/dinner - Complimentary WiFi on-board - Complimentary bicycles on-board for use ashore - Variety of on-board evening entertainment - ALL GRATUITIES INCLUDED on-board ship - Cruise Manager for duration of River Cruise - Oktoberfest Experience with Tickets, reserved table in one of Oktoberfest's Most popular Tents with lunch, Beer included. - 1 Night Pre-Cruise stay at Budapest 4-star Hotel is available for $175.00 per person / DBL occupancy (Depart Sept. 22, 2019) THE HIGHLIGHTS OF OUR 11 DAY OKTOBERFEST DANUBE RIVER CRUISE INCLUDE: - Experience Oktoberfest like a Local, as we spend a full day at Oktoberfest and toast beer and mingle with the locals, enjoy authentic German cuisine and enjoy traditional Bavarian Music in one of the most popular Oktoberfest Tents. - Over 11 Days you will visit 4 Amazing Countries and immerse yourself in the local culture of Hungary, Slovakia, Austria & Germany! - Emerald Waterways offers ACTIVE Excursions, for those that prefer more active excursions, ie: hiking, bike ride tours and even offers bicycles on-board our ship for exploring on your own. - A Guided Active Hike to the top of Buda & Bratislava Castles! - Visiting locals in their homes in Slovakia where you have the opportunity to mingle with locals and learn about their culture. - Visit Durenstein Castle in Austria, where Richard the Lionheart was imprisoned - Visit 900-year-old Benedictine Abbey of Melk - Polka Dance to a traditional Bavarian Band on-board - Experience the local culture, people, pubs, beer gardens and nightlife in each city in the evening AS YOU CAN SEE, OUR AMAZING 12 DAY OKTOBERFEST DANUBE RIVER CRUISE INCLUDES SO MUCH! **** NOTE REGARDING LIMITED CABIN AVAILABILITY: Space is limited to only 15 Cabins and limited to particular cabin categories. The $4699 p/p (DBL occupancy) Package price includes the EMERALD STATEROOM ON THE RIVIERA DECK, an outside cabin with window, but no balcony. INCLUDED CABIN CATEGORY WITH $4699 P/P PRICE:  Emerald Stateroom Cabins on Riviera deck ($4699 p/p DBL) Or you can choose from the below cabin categories that are considered suites and include a balcony with a retractable window... -  Panorama Balcony Suite Cabins on Vista deck ($5299 p/p-$600 upgrade per person) [These suites offer the most luxury for the money!] -  Panorama Balcony Suite Cabins on Horizon deck ($5599 p/p- $900 upgrade per person) [These suites offer the most luxury for the money!] -  Grand Balcony Suite Cabins on Horizon deck ($5899 p/p- $1200 upgrade per person) -  Owner's 1-Bedroom Suite Cabin on Horizon deck ($6699 p/p- $2000 upgrade per person) *** Upgraded cabins fees should be paid by check or I can email a credit card electronic invoice, if requested. Panorama Balcony Suites offer the best value and luxury for the money. ** FREE AIR PROMOTION This PROMO is an INCREDIBLE DEAL AND SAVES $1500 PER PERSON, but only good until February 15th 2019. You must be booked w/ initial deposit or paid in full before Feb. [masked] to receive this offer. If you want to join this Amazing Trip, I recommend you do so as soon as possible, as space is limited to only 15 cabins. This Oktoberfest Tour is going to be an Experience of a Lifetime and I hope you can join us on our Oktoberfest Danube River Cruise this September 23rd - October 3rd 2019! Please contact me directly at [masked], if you have any questions regarding this Trip... Your Travel Planner, Michael Fun Happenings Travel & Adventure Group *** PRICING / PAYMENT TERMS / FLIGHT ITINERARY FOR OKTOBERFEST TRIP*** THERE ARE 3 WAYS TO PAY FOR TRIP! AIR / LAND PACKAGE PRICE FROM ANY CITY IN THE USA: (FREE AIR PROMO ENDS FEB. 15TH 2019!) 1.) $[masked] per person based on DBL Occupancy (AIR/LAND PKG)- If paid in Full by check. (NOTE: FREE AIR PROMO IS INCLUDED ONLY UNTIL FEB. 15TH 2019) *** Make check payable to Fun Happenings and mail to: Fun Happenings PO Box 322 Brentwood 37024 ** Note: Check Payments are only valid for Full Trip Payments- all partial payments- but be done with PayPal link. 2.) PAYMENT IN FULL BY CREDIT CARD - $[masked] / DBL OCCUPANCY: PAYPAL LINK ($[masked]): https://www.paypal.com/cgi-bin/webscr?cmd=_s-xclick&hosted_button_id=RQRW9DTMTRKJC 3.) 6 PayPal Automatic Installment Payments of $807 over 6 months: [TOTAL $[masked]] 1.) $807.00 Due Now (Initial Deposit Due BEFORE JAN. 31ST) 2.) $807.00 Due 4 weeks after previous payment (Automatic) 3.) $807.00 due 4 weeks after previous payment (Automatic) 4.) $807.00 due 4 weeks after previous payment (Automatic) 5.) $807.00 due 4 weeks after previous payment (Automatic) 6.) $807.00 FINAL PAYMENT DUE BEFORE SEPT 1, 2019 ** Note- All payments must be paid in full by SEPTEMBER 1, 2019 and may need to catch up and pay in full before SEPTEMBER 1, 2019. **** PAYPAL LINK FOR 6 RECURRING PAYMENTS OF $807.00 (TOTAL $[masked]): https://www.paypal.com/cgi-bin/webscr?cmd=_s-xclick&hosted_button_id=F97WAG3S6DN8G **** SINGLE ROOM SUPPLEMENT IS PRICED HIGH ON THIS SHIP: The Single Supplement is priced high with this cruise line and we will do our best to find everyone a roommate. The Single Supplements ranges from $2859 to $3449, depending on cabin category. Contact Fun Happenings at [masked], if you're wanting a roommate. LAND ONLY PACKAGE: CRUISE LINE IS OFFERING FREE AIR FARE PROMO FROM ANY CITY IN THE US, UNTIL FEBRUARY 15TH 2019- so Land Package is N/A. [After this Date- Air Fare is not included. You must be booked and at least paid (1) payment of $910.00 payment or paid in full- to qualify for FREE AIR PROMO. To View the DAILY ITINERARY, Please click on the link below: https://docs.google.com/document/d/10F-x0ZTJzlPD6fahdPsp6ti3AfkKfsFvDldTQ3UeNzY/edit?usp=sharing REFUND POLICY: A non-refundable $500 Deposit is charged upon booking (included w/ $807.00 payment) and no refunds are available with less than 120 Days. This is based on cruise ship's strict terms and conditions. Amazing 10 Day Private Yacht Tour to 7 Greek Islands/Athens: $4190+ $500 RT Air! The Cycladic Islands of Hydra, Folegandros, Santorini, Naxos, Paros, Delos, Mykonos & Athens! Exotic French Polynesia Islands- Moorea,Bora Bora & Tahiti! $4290 Including Air! JOIN FUN HAPPENINGS TRAVEL & ADVENTURE IN THE FRENCH POLYNESIA ISLANDS THIS NOV. 3RD - 13TH.... AS WE EXPLORE THE EXOTIC ISLANDS OF TAHITI, MOOREA & BORA BORA! BORA BORA IS ON EVERYONE'S BUCKET LIST... But you will be surprised how beautiful Moorea and Tahiti are! So Join our Travel Group and Visit One of the World's Most Beautiful Places on Earth with new and old friends! AND YES, YOU READ CORRECTLY, ROUND TRIP AIR IS INCLUDED FROM SAN FRANCISCO! Just a Note- This trip is priced 20% - 30% below regular cost, based on group rates and airfare negotiated with 38 persons. • We will spend 3 NIGHTS ON THE ISLAND OF MOOREA, 5 NIGHTS ON MAGICAL BORA BORA & 1 NIGHT ON TAHITI! (All of our hotels are top rated 4 1/2 - 5-star beach resorts!) Our beautiful 5-star resort in Bora Bora- The Bora Bora Pearl Beach Resort & Spa, is a member of The Leading Small Hotels of the World, the Bora Bora Pearl Beach Resort [www.boraborapearlbeachresort.com] has been recognized for its excellence in personalized service, luxury accommodations and was ranked recently by Conde Nast, as one of the Top Beach Resorts in the World! This magnificent resort is located on the private Motu (island) of Tevairoa offering spectacular views of Mount Otemanu.‎ CHECK OUT THIS VIDEO: https://youtu.be/L1A8AK2Mro8 ABOUT THE FRENCH POLYNESIA - SOCIETY ISLANDS... French Polynesia covers over two million square miles of the South Pacific Ocean and is comprised of 118 islands spread over five great archipelagos. Many islands are crowned with jagged peaks while others appear to barely float above the breaking waves. It’s the kind of place where the rich and famous come to play and hedonistic honeymoon fantasies are realized. Adventures are plentiful in these archipelagos that are scattered over an area as big as Europe. Easier to travel to than you might imagine, As far south of the equator as Hawaii is north, Tahiti is halfway between California and Australia, on the same side of the International Date Line as North America, and in the same time zone as Hawaii. The three archipelagos most sought by visitors are the Society Islands, comprised of Tahiti, Moorea, Bora Bora, Huahine, Raiatea and Taha’a. Unlike any other properties in the world, the luxury hotels and resorts of the French Polynesia offer a perfect combination of experience, service, dramatic views, cuisine, ambiance, and posh accommodations. MOOREA Moorea is a magical island. The mountains rise up high above the sea, only to disappear again into the shallow lagoon. Waterfalls plummet down cliffs and towering pinnacles rise high above you. This is a beauty you will never forget. On the island there are both white and black sand beaches, which is quite unique among the Society Islands. Come and experience the magic of Moorea for yourself! ABOUT BORA BORA Bora Bora – Unquestionably the most mythical of the Pacific islands remains the island of all dreams. So much has been written about Bora Bora, and yet it is hard to find the right words to describe the magic that emanates from this island. Seen from the air, the view has been compared to that of "a tiny emerald in a setting of turquoise, encircled by a sheltering necklace of sparkling pearls". The airport, built by US forces in 1942, is located on a palm fringed motu about 20 minutes by boat from the main village of Vaitape. The view of the main island from the airport is truly breathtaking, and as you travel across the spectacular lagoon you will soon understand why it is the main area of attraction for most visitors. As with All International Fun Happenings Trips... I am working with a local Tahitian tour company- so our group will fully immerse ourselves into the local culture and experience a side French Polynesia- that tourists rarely see! OUR 11 DAY FRENCH POLYNESIA TRIP TO MOOREA, BORA BORA & TAHITI INCLUDES SO MUCH FOR $4290! : • Round Trip Non-stop Coach Air from SAN FRANCISCO (SFO) on UNITED AIRLINES to Papteete, Tahiti (PPT) • 3 Inter-island Flights between islands on Air Tahiti (reg. value is $500) • Private Airport Transfers in Moorea, Bora Bora and Tahiti • 3 Nights at Manava Moorea Resort & Spa (Deluxe Garden view room is included) • 5 Nights at Bora Bora Pearl Beach Resort & Spa (Garden Bungalow with private plunge pool included) • 1 Night at 5-star Tahiti Pearl Beach Resort on Tahiti (Deluxe Ocean View Room included) • Local Guides, excursions included on each island. • Traditional Tahitian Greeting with beautiful Flower Lei • Welcome to Moorea with flower lei and welcome drink • 16 meals (Breakfast Daily, 2 Dinners, 1 Lunch and 4 Trans-Pacific airline meals included- Dinners are Luau Pig Roast in Moorea & Farewell Dinner at Famous Bloody Mary's in Bora Bora!) • 4 Unique & Adventurous Excursions: 1.) Circle Island Safari Tour of Moorea in 4x4 Vehicle 2.) Sunset Catamaran Cruise aboard 70' O'Hana Catamaran in Moorea 3.) Lagoon Shark & Stingray Snorkeling Tour in Bora Bora w/ Tahitian BBQ 4.) Polynesian Luau & Pig Roast in Authentic Tahitian Village in Moorea • All flight taxes/fuel surcharges, Hotel room taxes • Baggage handling at hotels WHAT'S NOT INCLUDED IN OUR FRENCH POLYNESIA TOUR: • Change of Flight Seat / Upgrade to Business, First Class • Upgrade to Over the Water Bungalows is additional • Personal items- Internet, souvenirs, spa treatments, Optional tours • Meals not listed in itinerary • Tips & Gratuities with tour guides • Travel Insurance, medical services PRICING TERMS AND ARRANGEMENTS... HOW TO SECURE YOUR SPOT? THERE ARE 4 WAYS TO PAY FOR THIS TRIP: PAY IN FULL WITH CHECK: 1.) $[masked] per person Double Occupancy (If paid in full by check- the most cost efficient way to pay for this trip) [NOTE: Check payments are only allowed for Full Payment, you may make partial payments by PayPal] ** PLEASE MAKE CHECKS PAYABLE TO FUN HAPPENINGS AND MAIL TO: FUN HAPPENINGS PO BOX 322 BRENTWOOD TN 37024 PAY IN FULL WITH CREDIT CARD / PAYPAL: 2.) $[masked] PER PERSON (IF PAID BY CREDIT CARD OR PAYPAL IN FULL) PAYPAL LINK TO PAY FOR TRIP IN FULL ($[masked] p/p Based on Double Occupancy) https://www.paypal.com/cgi-bin/webscr?cmd=_s-xclick&hosted_button_id=G9HVFG6988UQQ PAY FOR TRIP BY 6 MONTHLY PAYPAL AUTO INSTALLMENT PAYMENTS 3.) $4422 TOTAL TRIP COST (Includes Air, Land Pkg) with 6 Monthly Installment Payments of $737.00 through PayPal- Charged automatically to your PayPal payment mode every 4 weeks) PAYPAL LINK TO PAY FOR TRIP WITH 6 MONTHLY PAYMENTS OF $737 TOTALING $[masked]: https://www.paypal.com/cgi-bin/webscr?cmd=_s-xclick&hosted_button_id=KJXTNQ5F9JU96 LAND ONLY PACKAGE ($3290): 4.) LAND ONLY PACKAGE- BOOK YOUR OWN AIR & MEET US IN TAHITI! PAYPAL LINK FOR LAND ONLY PACKAGE ($[masked]): https://www.paypal.com/cgi-bin/webscr?cmd=_s-xclick&hosted_button_id=284ANNG8QAT8J TRAVELING SOLO? NO WORRIES, MANY FUN HAPPENINGS' TRAVELERS ARE SOLO TRAVELERS AND CAN CHOOSE BETWEEN A SINGLE ROOM OR MAY OPT TO ROOM WITH ANOTHER SINGLE TRAVELER (We will put you in touch with single travelers, looking for a roommate) IF YOU'RE TRAVELING SOLO AND WANT A SINGLE ROOM: Single Room Supplement: USD $[masked] per person (Includes a single room for duration of Trip in 3 Islands) PAYPAL LINK FOR SINGLE ROOM ($[masked]): https://www.paypal.com/cgi-bin/webscr?cmd=_s-xclick&hosted_button_id=5RPZXWJ2G77J6 UPGRADE TO OVER THE WATER BUNGALOW IN BORA BORA (5 NIGHTS): Upgrade to an iconic "Over the Water Bungalow" at Bora Bora Pearl Beach Resort for 5 Nights: $[masked] (based on single or double occupancy) [Limited to only 12 OTW Bungalows]: PAYPAL LINK FOR OVER WATER BUNGALOW ($1290): https://www.paypal.com/cgi-bin/webscr?cmd=_s-xclick&hosted_button_id=AE98RC5UKKW6W UNITED AIRLINES FLIGHT ITINERARY FROM SAN FRANCISCO (SFO): SUNDAY NOV 3RD 2019 UNITED AIRLINES FLT #115 DEP SAN FRAN SFO AT 2:00PM PST ARRIVE PAPEETE TAHITI (PPT) AT 8:40PM (SAME DAY) TUESDAY NOV. 12TH 2019 UNITED AIRLINES FLT #114 DEPART TAHITI PPT AT 10:40PM ARRIVE SAN FRAN SFO AT 8:45AM (Arrive Nov. 13th) ** Be sure to Arrive to San Francisco either by 11:30am on Nov. 3rd or Arrive the Day Before (and enjoy San Fran for 1-2 days), to insure you do not miss our 2:00pm flight to Tahiti on Sunday Nov. 3rd. This flight does not fly daily, so if you missed the flight, you may be delayed 2-3 days. NOTE: There is 1 United Flight from BNA that arrives early enough to make Tahiti flight and you can have baggage checked "through to Tahiti", as it is the same airline. DAY BY DAY ITINERARY: Day 1: SUNDAY NOV. 3RD: DEPART SAN FRANCISCO (SFO) to Papeete, Tahiti on UNITED AIRLINES NON-STOP FLIGHT #115. ARRIVE TO Papeete Tahiti at 8:40pm and transfer by private coach to our Tahiti Hotel, TAHITI PEARL BEACH RESORT & SPA. No activities planned for this evening. Day 2: MONDAY, NOV. 4TH: After Breakfast and checking out of our hotel, our group will depart for a half day tour of Tahiti, where we will explore the open markets of Papeete, the many pearl shops, visit the Presidential Palace and see the beautiful natural beauty of Tahiti, before we arrive to the Airport for our quick 15 minute flight to Moorea, where we will spend 3 Amazing Days on this beautiful island! Upon arrival to Moorea Airport, we are met by our local guide, who will take us by private coach to the Manava Moorea Beach Resort & Spa.... The rest of the afternoon and evening is free to explore Moorea and enjoy Dinner on your own. Day 3: TUESDAY, NOV. 5TH: After Breakfast at our resort- we are greeted in the Lobby by our local tour guide for a Circle Island Safari Tour of Moorea to help orient us and tour this beautiful island... The northern side is punctuated by two lareg bays – Cooks and Opunohu. On Today's excursion, we make a stop at a Pineapple plantation to learn about this famous and most important resource on Moorea. Continue to the Belvedere, with a stop at a 'Marae' (ancient open air temple) to learn about the ancestral customs. From the Belvedere, experience the panoramic views overlooking the Cook and Oponohu Bays, and over the Rotui Mountain. The rest of the afternoon is free time to relax at resort or explore Moorea. Join us Tonight for our "Included" Tahitian Pig Roast Luau Dinner & Show at the authentic Tahitian village on Moorea... THIS IS AN INCREDIBLE NIGHT AND WILL ONE OF THE TOP HIGHLIGHTS OF OUR TRIP! Day 4: WEDNESDAY, NOV. 6TH: FULL DAY AT LEISURE IN MOOREA OR JOIN OUR GROUP FOR AN OPTIONAL MORNING HIKE TO "THE VALLEY OF THE KINGS" - Led by our local hiking guide Azdine... as we explore old pathways to explore the remnants of ancient villages and maraes, which were ceremonial religious sites. You hike through fertile valleys amongst lush tropical vegetation. Azdine, the guide, will share information about geology, ancestral plants, medicine and sacred trees. You'll also hear intriguing Polynesian legends and taste wild island fruits and coconuts, plucked straight from the trees. Join us This Afternoon for our "INCLUDED SUNSET ISLAND CRUISE OF MOOREA" with Open Bar and snacks included. THIS SUNSET CRUISE IS AN INCREDIBLE EXPERIENCE! Day 5: THURSDAY, NOV. 7TH: After Breakfast, our group will transfer by private coach to Moorea Airport, for our Air Tahiti flight to Bora Bora, where we will stay for 5 nights at the Top Rated Bora Bora Pearl Beach Resort & Spa! We will say Good-bye to Moorea and the beautiful memories of the last 4 days- but welcome to explore the natural beauty of Bora Bora for the next 5 days.... Upon arrival to Bora Bora Airport, we will be transferred by "Private Boat" to our magnificent Bora Bora resort. The rest of the afternoon, evening are free to relax, enjoy the resort's water sports or explore Bora Bora on your own. Accommodations in Bora Bora: BORA BORA PEARL BEACH RESORT & SPA (http://www.boraborapearlbeachresort.com/) (Ranked one of the Top Beach Resorts in the World by Conde Nast magazine!) Day 6: FRIDAY, NOV. 8TH: Today, we embark on our included Snorkeling / Lagoon Excursion of Bora Bora... And, No visit to Bora Bora is complete without this exhilarating, unforgettable experience where we will be swimming with sting rays and black tip sharks. Taken to the outer reef, you don snorkel and flippers, slip into the water (with just a touch of trepidation!) and watch Tahitian divers hand feed back-tip sharks right before your eyes. We will enjoy an authentic Tahitian BBQ Lunch on a private island, before heading back to the hotel. Day 7: SATURDAY, NOV. 9TH: Free day to explore the island at your own leisure... You may want to venture into town to shop, rent a jeep and circle the island or maybe take or enjoy a scuba diving tour. There is certainly no shortage of activities on this island... It is Truly one of nature's most fabulous creations and is considered by many to be the most beautiful island in the world. This afternoon, we are offering an optional "SUNSET CHAMPAGNE CRUISE" on the resort's world renown solar powered catamaran, where we will stop in a lazy cove for a swim, champagne and to view the beautiful sunset [Limited to 14 persons]. Day 8: SUNDAY, NOV. 10TH: Enjoy Another Free Day to relax or explore the beautiful island of Bora Bora or choose to join our morning "Optional Jet Ski Tour of Bora Bora", where our local guide takes us on a panoramic circle tour of the island by Jet Ski. This afternoon, we are offering a 2nd Optional "SUNSET CHAMPAGNE CRUISE" on the resort's world renown solar powered catamaran, where we will stop in a lazy cove for a swim, champagne and to view the beautiful sunset [Limited to 14 persons]. Day 9: MONDAY, NOV. 11TH: Enjoy a free Day to relax or explore the beautiful island of Bora Bora or choose to join our optional morning "SNORKELING TOUR", where our local guide "Big Sky" will take us to some incredible coral reefs filled with tropical fish. Relax for the rest of the afternoon, but get ready for an Amazing Dinner This Evening for our Included "FAREWELL TO BORA BORA DINNER AT THE FAMOUS BLOODY MARY'S RESTAURANT!" There are no words to describe this Amazing meal, as the Seafood was fresh caught in the last 12 hours! Choose from many fresh seafood and New Zealand Beef options! [Dinner & Welcome Drink is included with our trip package and is valued at $100 per person] WHAT'S ON THE MENU AT BLOODY MARY'S- WATCH THIS VIDEO: https://youtu.be/XPdR7w_jSXM Day 10: TUESDAY, NOV. 12TH: Today, we enjoy a lesurely morning and afternoon, as we do not depart for the Bora Bora Airport, until late afternoon. Enjoy the morning on the beach or pool and take in your last day in Bora Bora! We will need to check out by 12pm, but there are changing rooms with showers to use, before our departure. Around 4:30pm, our group will take a private boat to the Bora Bora Airport for our 50 minute flight to Papeete, Tahiti, where we catch our evening UNITED AIRLINES overnight flight to San Francisco. Day 11: WEDNESDAY, NOV. 13TH: We arrive to San Francisco SFO at 8:45am, where we will complete customs and take our own booked flights back to our home cities. IN CONCLUSION The interest on our French Polynesia trip is overwhelming, as this is one of our Most iconic trips. Based on the positive feedback from our 2 groups that traveled here in Nov. 2015 and 2017, many want to join in 2019! If you're interested in joining this fabulous trip, please commit early, as I expect will fill up in the next two weeks. This trip is limited to the first 38 persons that commit with either full payment or initial payment of the 6 Month Installment Plan. This trip is going to a truly "Once in a Lifetime" Experience and Hope you can join us! Feel Free to email me at [masked]- if you have any questions.... Your Travel Organizer, Michael ABOUT OUR HOTELS IN THE FRENCH POLYNESIA..... BORA BORA PEARL BEACH RESORT & SPA WEBSITE: http://www.boraborapearlbeachresort.com/ Member: The Leading Small Hotels of the World Ranked by Conde Nast Magazine, as the #35 Best Beach Resort in the World! http://www.cntraveler.com/galleries/2014-12-11/worlds-best-beach-resorts-readers-choice-2014/6 From the moment you arrive at the Bora Bora Pearl Beach Resort, you feel the romance and love radiating from this special Polynesian retreat. The Pearl Beach Resort on Bora Bora features outstanding Polynesian style accommodations including spectacular Overwater Bungalows, as well as, unique Garden Pool Suites (included with our package) with your own private plunge pool. The Bora Bora Pearl Beach Resort has many highlights including beautiful island and sunset views of Bora Bora, as well as, stunning views of Mt Otemanu. The resort’s extensive Manea Spa offers a variety of spa treatments using the natural oils and ingredients sourced from the islands of Tahiti. The resort features 2 restaurants, 2 bars, with delicious international dishes, as well as, Polynesian and traditional cuisine. Our included room in Bora Bora is a Garden Bungalow with Private Plunge Pool. The Optional Over-water Bungalow accommodations feature a glass topped coffee table which opens so guests can view and feed the fish and sea life below providing hours of entertainment. Resort features an extensive variety of romantic services including dinner on the beach by candlelight, private day tours, and romantic vow renewal ceremonies. MANAVA BEACH RESORT & SPA MOOREA: WEBSITE: https://www.manavamoorearesort.com/ RESORT VIDEO: https://youtu.be/EoDKsV9YNRQ The Manava Beach Resort and Spa Moorea is the perfect resort to begin your dream vacation on Moorea. Situated between the pristine lagoons, lush tropical gardens, and breathtaking mountain peaks, you will find an intimate Polynesian style boutique resort conveniently located to shopping, dining, and golfing. ‎ The Manava Beach Resort and Spa Moorea offers an intimate Polynesian boutique hotel experience offering traditional bungalow and room accommodations and warm service and welcome. The Manava Beach Resort & Spa Moorea offers both sunrise and sunset views and is within walking distance of the nearby village of Maharepa. TAHITI PEARL BEACH RESORT: WEBSITE: https://www.tahitipearlbeach.pf/en RESORT VIDEO: https://youtu.be/47KmsTfc1_U The Tahiti Pearl Beach Resort has a unique location only ten minutes from downtown Papeete, facing a beautiful black volcanic sand beach of Lafayette and an amazing view of Matavai Bay.